I first got to know Curt Wiedenhoefer in 1988 when we were both working with Richards Medical, now Smith & Nephew. He was a young salesman working in Southern California selling trauma and hip and knee products. Since that time, Curt was recruited to Depuy in Northern California to manage the sales efforts for one of the largest distributorships at the time in the U.S. While he was working closely with surgeons, he realized there was a need for medical electronics in orthopedics. He founded a company, called Eisenlohr Technologies, Inc. in 1992. They developed a hand held measuring device for radiographs and an X-Ray marker. He bootstrapped the product development by collaborating with the PhD electrical engineering program at Stanford University. Self-funding with a small group of investors, he was able to get the product to market and sold it worldwide. Over the last 12 years he served as the Executive Vice President of Sales and Marketing for Consensus Orthopedics. 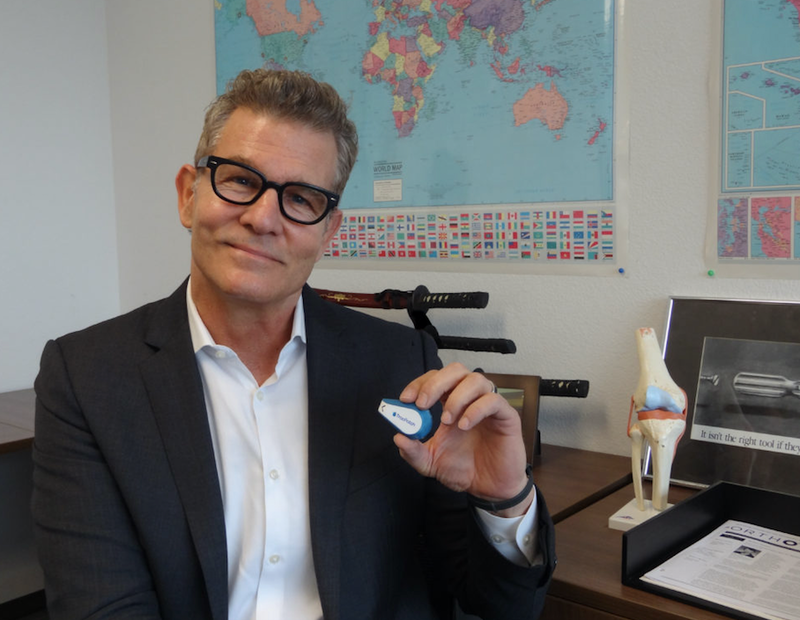 The past 2 years he has also been the General Manager of the TracPatch division, which focuses on wearable technology in orthopedics. Recently, he was promoted to President of the Consensus Orthopedics. I sat down with Curt and asked him a few questions about the new technology Consensus is developing. 1. So Curt, tell me about Consensus Orthopedics and its current trajectory. Thank you Tiger. We are excited to say this year Consensus will celebrate 25 years in orthopedics! Our company headquarters is in El Dorado Hills, CA, about 30 miles east of Sacramento in Northern California. Our primary focus has always been on the hip and knee market and we have been and will continue to be, a high quality and reliable US joint manufacturer. We continued to expand our joint line by launching two new products this year, a Uni Knee and Shoulder. We are a start to finish manufacturing facility from raw materials through sterilization and packaging. We distribute to more than 15 countries worldwide. Our future is looking bright. In 2015, we founded a medtech division within Consensus named TracPatch. The goal of this division is to use our 25 years of orthopedic experience to create innovative wearable technology for joint replacement rehabilitation and to assist our surgeons through the entire episode of care. 2. Why is Consensus, a traditionally orthopedic implant company, branching out into post-op patient monitoring? The beginning of TracPatch is an interesting story. I was at a friend’s birthday party and I was talking with an orthopedic surgeon I knew. We were engrossed in the topic of real time post-op patient data. He told me he could “put in the best implant technology, align the joint perfectly, and balance the soft tissues, but if his patient sits on their couch with a pillow under their knee during those critical first six weeks post-operatively, the patient will have a bad result.” The TracPatch spark was lit right then. From there, we combined our employees’ knowledge of orthopedics and electronics and created the TracPatch Division. At the same time, CJR was being finalized. So this casual party conversation combined with the market shifting towards a value based model led to our discovering a need for post-op patient monitoring. This was critical to a healthcare providers and/or hospitals success. We leveraged our proximity to Silicon Valley and felt that we could develop products that potentially could improve outcomes, reduce cost and enhance patient satisfaction after total joint surgery. As a result, we created our TracPatch Division, and developed TracPatch, a wearable device for total joint rehabilitation patients. 3. Give me some more details about TracPatch. 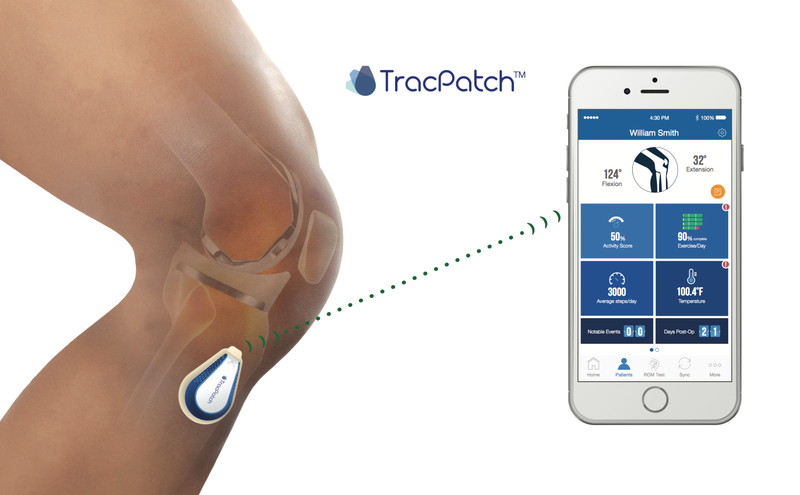 TracPatch is a wearable device that can be utilized with any total knee system. It is placed just below the tibia joint line, medial or lateral to the midline, using a disposable adhesive pad. TracPatch is designed to remotely monitor range of motion, ambulation, exercise compliance, and temperature trends during post-surgical rehabilitation. This machine learning technology strategically optimizes the patient’s entire episode of care with a proactive approach. The TracPatch system includes an app and web dashboard. The app features an intuitive interface for easy operation on any smart phone with Bluetooth technology. The device transmits key data points directly to a secure cloud-based platform, where healthcare providers can track individual patient progress anytime on the app or web dashboard. 4. How can this technology scale for all orthopedic stakeholders? TracPatch can be used by every patient. I am personally convinced that the benefits of the TracPatch wearable device are so significant that it will become the technology of choice for every surgeon/healthcare provider. For example, a patient with TracPatch is motivated to engage in their rehabilitation program through daily exercise reminders and an interactive episode of care rehab roadmap. The healthcare provider can know every day if the patient is moving, increasing their range of motion, and completing their rehab exercises. This will in turn have the potential to reduce MUA’s (manipulation under anesthesia), readmissions, and physical therapy sessions; meaning increased value of care with decreased cost of care. These improved outcomes will result in higher patient satisfaction. 5. 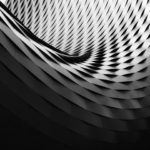 What kind of impact do you foresee the TracPatch technology having on Consensus as a company? As I mentioned earlier, Consensus is celebrating our 25th year anniversary. Our products are known for their quality, reliability, and surgeon reproducibility in the OR. This innovative technology allows us to provide a groundbreaking new approach to help healthcare providers reduce costs and increase positive outcomes. TracPatch can add tremendous value to the entire episode of care. This technology delivers never-before-seen data into the post-surgical rehabilitation for healthcare providers. Being able to monitor your patients’ range of motion progress and exercise compliance daily is a game changer. TracPatch is making proactive care easy, so every patient has an excellent outcome. In 2018, we will be releasing a version for the hip as well. The orthopedic industry has never seen anything like this before and we want to be on the forefront in this budding medtech orthopedic space. It not only allows Consensus Orthopedics to expand our current revenue and customer base, TracPatch also will attract new surgeons and hospitals that don’t currently use our total joints. This technology provides a synergistic market strategy we can use to create a streamlined episode of care. 6. Where do you see this technology going next? Without giving up too much detail on our IP, Orthopedic wearable technology is the future. TracPatch is just the beginning. I envision wearable technology will completely change the orthopedic industry. Just imagine a future where innovative implant technology, wearable technology, and IoT intersect to create a completely connected care environment. Where provider and patient are synced throughout the entire pre, intra, and post-operative episode of care.